Banana is a great fruit. Almost every house has consumption of this fruit. This fruit has a lot many proven benefits. To be honest it tastes good and it is one of the fruits that are easy to eat. Moreover, there are many benefits of the Banana Peels for your body. Yet, don’t throw away its peel! Not only someone might fall because of it, but you might end up throwing something valuable. Yes, ladies and gentlemen, the banana peel is not to be thrown away. It is a miraculous thing that shall be first used before getting rid of it. Here are 10 benefits of the Banana Peels for your body. One of the benefits of the Banana Peels is that it helps in sparkling teeth. With a diet full of junk food, it is difficult to have such dream teeth and we need up going for expensive treatments and products for whitening our teeth. However, here we are with a cheap teeth polishing method. 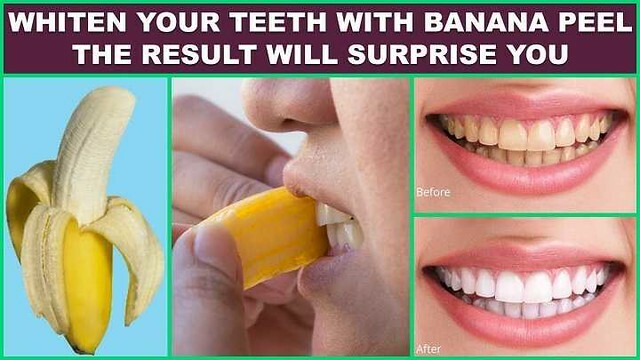 Have a banana peel and rub it on the teeth for a minute or so for a week. Warts can be troublesome. Why go to a doctor to get rid of them when you have a banana at home? Enjoy the banana and use the peel to rub on the affected area. Not only warts will disappear but also new warts would be prevented from growing. The best way is to tie a banana peel on the area overnight. The south Asian banana peel recipes are delicious, and you shall definitely try them. Another benefit of the Banana Peels is that you can use it as chicken tenderizer! 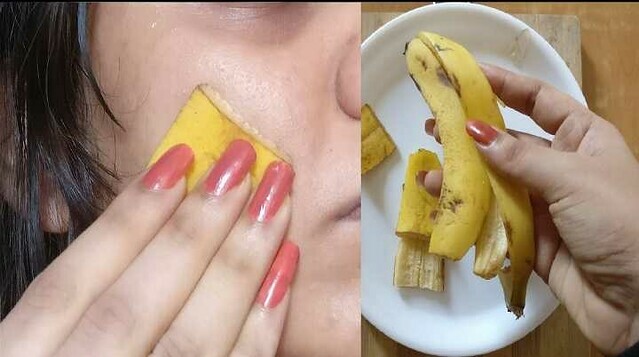 Say goodbye to pimples and acne when you have a banana peel. 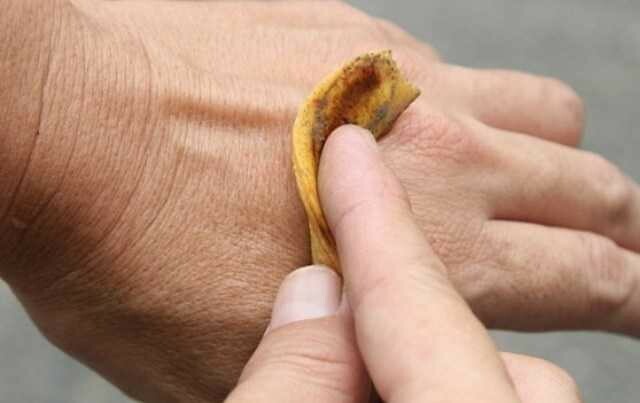 Massage a banana peel on pimples for 5 minutes for a week and say hello to an acne free face! Take an egg yolk and beat it up with a mashed banana peel. Apply the mixture on the face and leave it for 5 minutes. Wash it away and enjoy a fresh face. Have pain in the shoulder or another body part? Try to get relief with a banana peel. Simply put the banana peel on the affected area and leave for half an hour. You can also make a natural pain relief cream by blending banana peel with vegetable oil. Use the cream to massage the pained area. Some people feel itchy after a mosquito bites them. Some kids start to cry out of pain. The simplest cure is to rub a banana peel on the bitten area. Another benefit of the Banana Peels is that you can use them on your shoes, leather, and silver and get their old glow back! Take a banana peel and keep it under the sunlight for some time. Use the peel to rub on your eyes. Your eyes are now saved from dangerous UV rays. The miraculous banana peel is also used to heal the disease named Psoriasis. The banana peel helps to moisturize the affected area and helps in reducing itchiness.